With the medical advancements and technology available to us today, it is hard to believe that anyone could live without a diagnosis, but this is a reality faced by many of our families and countless others across the world. There are currently over 7,000 rare disease and the average journey to diagnosis is SEVEN YEARS!! Many of these disease are rapidly progressing and some individuals cannot afford to wait seven years. Sadly, many children do not live to see their 5th birthday and their families are left struggling for answers and fear of the future for other children. It is imperative that we help these families find answers quickly and efficiently. U.R. Our Hope helps families by researching medical facilities and genetic tests. We connect families with physician’s and facilitate referrals whenever possible. We also help families enroll in clinical studies at some of the nation’s leading research programs and facilities. 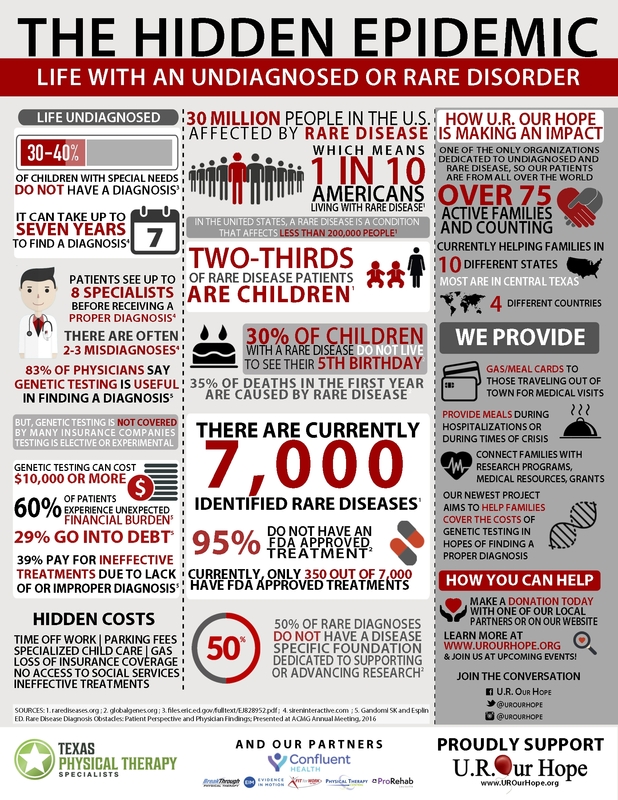 To date, many of our families have been seen at the National Institutes of Health’s Undiagnosed Disease Program, which only sees about 200 cases annually, and several have also enrolled in TGEN’s Center for Rare Childhood Disorders. Sometimes, these families just need to know they are not alone and need support along the journey. We host monthly meetings in the Austin area and have a closed Yahoo group for virtual support to those who are not in Texas. We also hope to create and sustain a national network of Undiagnosed Patients for use by physicians. Currently, there is no national database storing the valuable information Undiagnosed Patients present to the medical community. The creation of a national network would allow physician’s to input their patient’s cases (symptoms and not personal identifying information) and compare them to other cases in the United States. If a match is found, a doctor would then be able to contact the treating doctor of the matched patient to create real time collaboration. Our Director of Advocacy has worked with Representative John Carter in Texas to create legislation to help create this network, but the bill has failed in the last 3 times it has been presented. Representative Carter’s office continues to support this bill as does U.R. Our Hope. We would like to be the organization behind the network and this would require a significant amount of money and partnerships. We help to advocate for patients with undiagnosed and rare disorders by helping to promote legislation that will benefit our families. Our Director of Advocacy is very active in legislative efforts and our organization has even co-authored a bill that would create a network as a tool for physicians to register their undiagnosed cases and find other physicians handling similar cases in order to promote real-time collaborations focused on finding a diagnosis and improving the care and outcomes of their patients. The Director of Advocacy attends conferences and helps families learn to advocate and tell their story to make meaningful changes to legislation. Dr. Parker graduated from Duke University in 1991 with a double major in biological psychology and physical anthropology. She completed her Master’s degree in physical therapy in 1995 at the Medical College of Virginia. 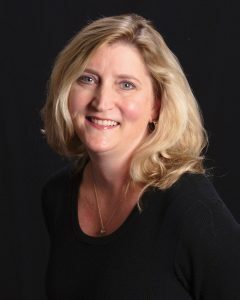 She is licensed to practice Physical Therapy in Texas and Connecticut. She continues to have an active research agenda in movement disorders in autism with her colleagues in the northeast from SUNY, Sacred Heart, and Fairfield University. She has received a certificate in Advanced Pediatric Therapy from Texas Woman’s University in 2004, followed by board specialization in both pediatric and neurologic physical therapy from American Board of Physical Therapy Specialists. Her dual certification in pediatrics and neurology is unique in the profession. She is an item writer both for the national PT and PTA exams. She completed her PhD at Texas Woman’s University in physical therapy; her dissertation is in differential diagnosis. Her passion for the undiagnosed is channeled through this work and her role as medical liaison for U.R. Our Hope, a locally based, but national group that assists individuals with undiagnosed and rare disorders at any age or any stage. Dr. Parker is a clinical associate professor of physical therapy at Texas State University. She maintains a small clinical practice through Growing Places Therapy Services in the Austin and surrounding areas. Vanessa is a mom of 3 children, and it is the journey of her middle child, Braxton, that led her to U.R. Our Hope. Braxton was born with multiple congenital anomalies that doctors were unable to diagnose. After 2 years and with the help of U.R. Our Hope, Braxton finally received a rare diagnosis of Rubinstein-Taybi Syndrome. The support from other parents helped Vanessa heal and empowered her to push for further answers on Braxton’s condition. Although Braxton is now diagnosed, Vanessa has gained valuable experience and is compelled to support other families who are also on the journey. Vanessa joined the Board of Directors as the Director of Communications and maintains our website, social media and marketing efforts. When she is not working, she can be found hanging out with her kids or DJing with her husband in the Austin area! Deborah joined U.R. Our Hope in 2013 as our Director of Finances. Her past experience includes the role of Treasurer at other area non-profit organizations. She assists the organization by maintaining financial records and applying for grants to further the mission of U.R. Our Hope. She enjoys spending time with her husband and 2 children exploring Austin’s soccer fields. 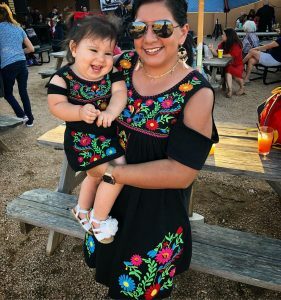 Nidia is a native Austinite and still lives in Austin with her husband, son and dog Mr. B. She is currently enrolled at University of Texas at Arlington in their Masters Social Work Program and hopes to complete that degree in summer 2017. Her Bachelors of Applied Arts and Sciences included major in child development and minor in human services from St. Edwards in 2013. She also currently holds Family Partner Certification with endorsements in special education and juvenile justice through Via Hope. Her personal experience with people and families with disabilities includes a brother who is severely impacted by medical and intellectual disabilities, a parent who has Multiple Sclerosis and raising a son who has been diagnosed with Autism, ADHD, and mood disorder. Professionally, Nidia has worked as an Early Childhood Intervention service coordinator, enrollment coordinator at a labor and delivery hospital, children’s hospital and specialty clinic, teacher in early childhood development center, site director at an after school program, assisted parents find quality childcare, and assisted early education centers and homes provide quality child care services. For the last seven years, Nidia worked as a Certified Parent Partner for the local mental health agency supporting parents in the child and family services division. Currently, she is an AISD substitute and full-time student. Nidia looks forward to serving families on the board of U.R.O.H. through information, advocacy, and supporting families and individuals through the process of medical diagnosis. Also, bringing awareness to the community at large about the journey of rare and hard to diagnose conditions. Tarah is the mother of 5 children and has a background in Criminal Justice. 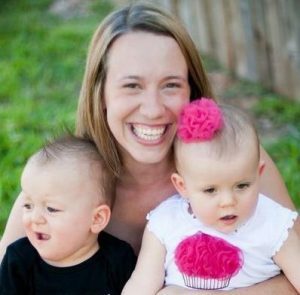 Her past experience includes working with Child Protective Services to ensure the safety of children in and around the Austin area. She has also been a foster parent for almost 5 years and cared for children with various backgrounds. In 2011, she adopted her youngest children who are twins, one of whom is currently Undiagnosed, which led her to U.R. Our Hope. She joins the U.R. Our Hope Board as our Director of Development and helps to coordinate community events, fundraisers, and family meetings. Betsy is a speech pathologist and autism consultant with 20 years of experience in a variety of settings. She graduated from Austin College with a BA in Psychology and Sociology and from the University of Texas at Dallas with a MS in Communication Disorders. She also holds a Texas teaching certificate and is a certified PLAY Project consultant. In 2010, she began using the iPod Touch and iPad in therapy sessions. Her use of these mobile devices has expanded to include training educators to use them in the classroom. Betsy is also the mother of two boys, Henry 15 and Sam 9. Henry has struggled with many medical problems since birth. The family has traveled across the US in search of a diagnosis for Henry. After 15 years of searching, success with the ketogenic diet for epilepsy and Whole Exome Sequencing have provided some answers although Henry remains partially undiagnosed. Debra is a physical therapist licensed in Texas. She completed her PhD in Physical Therapy at Texas Woman’s University School of Physical Therapy – Dallas in 2008. She has been in practice in Austin for over 20 years with her practice and research focus on fall prevention for older adults and older women’s health issues. Recently, Debra was instrumental in developing a Physical Therapist Assistant program at South University, Austin. Presently, she is an Assistant Clinical Professor with the Texas State University Physical Therapy Program teaching in the neurology course series and assisting with the clinical decision making sequence. In addition she has taken the position of Administrative Director of the Texas State University Physical Therapy Clinic. She joins our organization as an assistant to our Medical Liaison. LeighAnn graduated from Marymount Manhattan College with a BFA in modern dance performance and a minor in mathematics. Following a career as the General Manager of New York Yoga, she received her doctorate of physical therapy at Texas State University in 2017. She is now a licensed physical therapist in the state of Texas and combines her love of all things physical and a passion for helping kids and their families by practicing at Texas Children’s Hospital in Houston. She learned about U.R. Our Hope through Mary Elizabeth Parker and has been an active volunteer ever since.